Here it is, Movie Monday 17 April 2017 on Unsponsored. We have a carefully selected batch of whitewater edits to distract you away from whatever task you would prefer not to be doing. Kalama Falls Riverboard PNW from TacomaKayak11 on Vimeo. 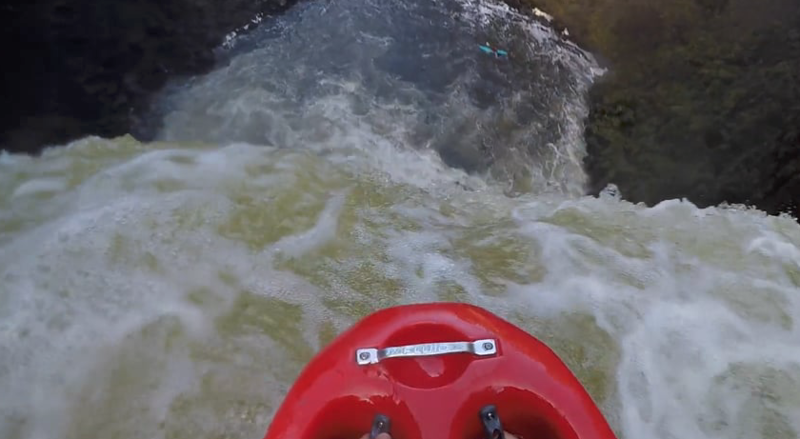 Mike McVey Riverboarding Outlet Falls 70 Feet Washington from TacomaKayak11 on Vimeo. Team Cupcake – Chile 2017 – Feat. Team Poland from Joe Vincent on Vimeo. High Water North Fork Payette @5500cfs from Andrew Morrissey on Vimeo. Mud Run from tony morrell on Vimeo. Notorious TV: Kayaking in Araucania, Chile from Santiago Sandoval on Vimeo. Upper Blackwater: Dagger Phantom V2 vs. Nomad L from Ian Van Wingert on Vimeo. Liquidlogic BRAAAP from Ben Lucas on Vimeo. Notorious TV: "Las Estaciones" Ep. 1 Cajón del Maipo from Santiago Sandoval on Vimeo. CALEB CHICOINE DEMO REEL 2016 from Caleb Chicoine on Vimeo. Looping Serpent"s OC2 from Pipster on Vimeo. If you like what you see on Movie Monday 17 April 2017 please hit the social media link(s) of your choice and share. If you find that all these edits simply aren’t enough then check out the massive Unsponsored Movie Monday archives.